Complex Needs Service are specialist services for people who have long-term emotional difficulties, trouble coping, or mental health difficulties sometimes described as a ‘personality disorder’ or ‘complex needs’. Such difficulties may be due to early experiences and they can be treated. Patients who live on the borders between Oxfordshire and Buckinghamshire can receive treatment in either county. Our Oxfordshire service is for adults of working age whilst our Buckinghamshire service also provides services for older adults. Complex Needs Service provide day programmes and community services for people with complex emotional or mental health difficulties. 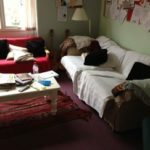 We provide Mentalisation Based Therapy Groups in Adderbury, Aylesbury, Oxford, High Wycombe and Witney, low intensity Emotional Skills Groups in Adderbury, Aylesbury, Oxford, High Wycombe and Witney and medium intensity Therapeutic Community (TC) treatment groups in Adderbury, Aylesbury, High Wycombe and Witney. We also run high intensity TC treatment programmes of two and three days a week in Aylesbury and Oxford. There are also support groups for family and friends in both Aylesbury and Oxford. ‘Personality disorder’ is a term which describes a set of problems that cause difficulties to a person and/or those around them, over a long period of time. You will usually recognise you have problems, and may have assumed nothing can be done, or sought help in various places without finding much that makes a significant difference. Most of the problems affect relationships and the ability to cope with stress. Hard to handle feelings can lead to unstable mood, periods of depression or anxiety, and desperate attempts to make you feel better, including self-destructive behaviours, drink or drugs, or difficulties controlling your temper. You may experience anxiety being around other people, feeling you can’t cope by yourself, or have difficulty getting along with people and come across as rigid or distant. Although it is rare to experience all these things, many people will suffer from a number of them. These kind of problems, if long term or lifelong, are referred to as personality traits: an established way of interacting, being and feeling. If they have a significant negative effect on your life, you may suffer from a personality disorder. It may be difficult to maintain a tenancy, or employment, or relationships, but things are different for different people. Not everyone who is treated in the Complex Needs Service suffers from a personality disorder, but everyone in the service has long term problems of the sort described above. Find out more about personality disorders on the Royal College of Psychiatrists website. Find out more about academic research on personality disorder. You can contact us using the details below and we will send you a self referral form (along with a stamped, self-addressed envelope) to complete and return to us. You can also ask a professional to refer you to us, for example your GP, a support worker, psychiatrist, or social worker. If you would like to make a referral on behalf of someone, please write a standard referral letter including name, address, contact telephone numbers, GP details, date of birth and a summary of the presenting difficulties. Please send it to Referrals Coordinator, Complex Needs Service, at one of the addresses above. Once we have received a referral or a completed self referral form, it will be reviewed by our clinical team and if appropriate, the person being referred will be invited to attend an hour-long information session in Oxford or Aylesbury. If the referral is not suitable for the group therapy programme, we will direct people to more appropriate services where possible. The information sessions provide information about the type of difficulties we address in the service, and how the therapy process works. They are facilitated by a member of the clinical team, along with some people who have successfully completed one of the therapy programmes. When a person decides to continue with their referral after attending an information session, their referral will be placed on our waiting list for an individual assessment. When a referral reaches the top of this waiting list, one of our therapists will send the person a date and time for an individual assessment. The individual assessment process usually leads to the person being assessed offered a place in one of our therapy groups. Before joining one of our groups, a person who has been referred to our service will attend an Individual Assessment with us. This is a chance for them to discuss their background and difficulties, to talk about the therapy in more detail and think about their therapy goals. Once the appropriate approach has been agreed and if we are the best service to provide treatment, we will offer a service user a place in one of our groups. All therapy in our service is group based. This is because current evidence suggests that interventions involving groups are the most effective in personality disorder. Many of the people referred to our service have received individual therapy, sometimes over several years, without much effect. If you do not want to engage in group treatment, you should talk to a professional about being referred for individual therapy. You could also try to refer yourself to Talking Space which provides talking treatments in Oxfordshire, or Healthy Minds, the Buckinghamshire equivalent. Mentalisation based therapy group. This is a group for those who would benefit from training and experience in mentalisation. This is the understanding of how our own and other people’s behaviour arises from thoughts, feelings and wishes (known as mental states). Mentalisation is linked to empathy: people who struggle with mentalisation might misinterpret other people’s behaviours and intentions, which can in turn lead to strong emotions and impulsive or withdrawn behaviours. The groups meet weekly in Oxford, Banbury and Aylesbury, run for 10 weeks, and are fairly structured (i.e., they have clear tasks and agendas for each stage of the group). Emotional Skills Groups enable those attending to explore those aspects of themselves they may want to develop and help to prepare for future therapy, if that is what is what the person wants. These groups meet once a week for a couple of hours in Adderbury, Aylesbury, High Wycombe, Oxford, and Witney. People using our services can be a member of an emotional skills group for up to a year. After a month they can discuss with the group whether they are ready to join the therapeutic community (TC). If so, they will then visit the community and proceed, if appropriate, to apply to join the TC. Emotional Skills Groups provide an opportunity to consider options and get ready for more intensive therapy. Putting oneself forward for intensive therapy is a serious undertaking, and the group will provide members with the chance to speak to others in a similar situation, and to discuss next steps with staff and members of the local TC (there is a TC associated with each Emotional Skills Group). TC members regularly visit the Emotional Skills Groups and are available for questions, advice etc. Emotional Skills Groups also help those attending to acclimatise to working in groups, and get used to speaking in front of other people, if this is something they struggle with. See our leaflet on Emotional Skills Group Guidelines for more information. Therapeutic community (TCs) are the most intensive and long term of the treatments we provide. Before joining a therapeutic community you will need to be a member of an Emotional Skills Group for at least a month to help you prepare. See our ‘Therapeutic Community’ tab for more information. The moving on group meets fortnightly in Oxford for those who have completed 18 months treatment in one of the therapeutic communities. Each member attends for 4 months, overlapping with the end of therapy by two months. The group provides guidance and advice on employment, education and training, and serves as an introduction to STARS, the organisation for people who have previously completed treatment in the complex needs services of Berkshire, Buckinghamshire, Oxfordshire and Milton Keynes. Please see the leaflet entitled Tier4: the moving on group for more information. Medium Intensity Treatment: Adderbury (outside Banbury), High Wycombe and Witney TC meet once or twice a week for up to seven hours in total per week. These programmes involve coming under our care programme and looking carefully at what psychiatric medication you are on. This means you need to be sure joining a TC it is right for you and that you are ready to do the work required. We will help you with this in the Emotional Skills Groups and talk to other mental health staff, if we need to and if you agree. Treatment in a TC lasts for 18 months and while in a TC, members support one another by phone when the community is not meeting. More information about TC’s is available in our Therapeutic Communities Leaflet. As explained by the Consortium for Therapeutic Communities, a Therapeutic Community (TC) is a place whose primary aim is to help people with their emotional and interpersonal problems. The way this help is structured is guided by a set of values and beliefs about the way people should treat each other and be treated, based on self-awareness, interdependence, mutual respect and assumption of personal responsibility. These shape the principles which underpin TC practice. TCs differ in the details of their approach, depending on the client group. How do Therapeutic Communities Work? It may seem strange to suggest that the environment could play a significant part in a treatment programme, but the idea of a therapeutic community is that community interaction is the factor which brings about change and community means, of course, other people. It is by belonging to a group of peers that a person becomes more self-aware and can adapt his or her behaviour. The therapeutic community represents the idea that it is other people, a human society, which forms the basis for treatment, because psychotherapy is a dialogue between people. • Out of hours support system – a central part of the programme. Members support one another by phone when not meeting. What is important to Therapeutic Communities? What are the values of TCs? Central to all TCs is the belief that people can change, and that in order to realise their potential as individuals and active citizens, they require an environment that fosters personal growth. They need to form relationships with others in an atmosphere of trust and security, they need to be valued, accepted and supported by those around them and they need to take real responsibility for themselves, others and their environment. A strong sense of community membership and belonging are critical to the process; in order to benefit from participation in a TC the member must be positively motivated to change, and to work within the TC’s rules. These rules uphold the values and norms of the community, which are a reflection of those held by society. What do Therapeutic Communities do? A TC is an informal environment. Members and staff are not necessarily immediately distinguishable from each other and there is a distinct communal atmosphere. The TC offers a safe environment with a clear structure of boundaries and expectations. TCs have a daily structure that incorporates all practical arrangements for maintaining and developing the community, as well as a varied programme of formal and informal therapeutic activity. These may include group therapies, creative therapies, social or cultural activities, and educational or work placements. All members of the TC are involved in the daily programme that contributes to both the individual’s needs as well as those of the community as a whole. Everyone is expected to contribute to the life of the TC according to his or her ability. Members take responsibility for themselves (for example in terms of appropriateness of behaviour) and participate in the running of the TC. This may include duties such as cooking, gardening and administrative tasks, which are assigned by the whole community. Members and staff meet together regularly to discuss the management and activities of the community and to make decisions affecting them; members’ joining or leaving are particularly important. Members take on increasing responsibilities as their confidence and abilities develop during their time in the community. Members tend to learn much through the routine interactions of daily life, and the experience of being there for each other. The goal is to improve members’ interpersonal functioning, first within the therapeutic community, and ultimately in the wider community. Feedback from peers enables members to reflect on the way their conduct affects others, and practice new behaviours and ways of relating and begin to gain self-esteem and increasing knowledge of themselves. 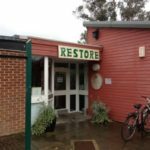 Who can therapeutic communities help? TC principles can be applied to the therapeutic care of a wide range of people in different settings. TCs can be residential or day facilities. They can be located across all sectors in Health and Social Care, including the Prison Service. They help some of society’s most vulnerable and socially excluded adults, children and young people. Problems TCs can help include mental disorder, learning difficulties, substance misuse, severe emotional and behavioural difficulties and offending behaviour. Communalism – (sharing of mutual tasks, close interdependency) promotes interaction with others, responsibility sharing, the abandonment of fixed social roles and attitudes, and the development of new relationships. Democratisation – (flattened hierarchy, sharing of decision making) allows self-management to emerge and altruism to flourish as a patient (called a member) is allowed to contribute meaningfully to the treatment of others. Reality confrontation – (presentation of behaviour as it is seen by others) promotes self-awareness and the development of identity and self-concept, and encourages learning through interpersonal feedback. If you are a relative, friend or loved one of someone with the kind of problems we treat, there is support available through the Family and Friends service. Support groups meet fortnightly at the Manzil Resource Centre in Oxford and at the Wing Unit in Aylesbury. Weekend Educational Courses are run once or twice a year. You can access the Oxfordshire Family and Friends Empowerment Service leaflet here. Please call us on 01865 904 300 to discuss whether this support group is suitable for you. Your loved one does not need to be receiving treatment in the service for you to use this service. STARS (Support Training and Recover Systems) is the organisation for people who have previously completed treatment in the complex needs services of Berkshire, Buckinghamshire, Oxfordshire and Milton Keynes. Members meet regularly to plan and for mutual support, and carry out paid work with the clinical teams in the three counties. This includes consultation, teaching and training, and conference presentations. Please see the STARS tab on the Thames Valley Initiative pages for more information. Would I have to come off all my medication to come to Complex Needs Service (CNS)? No. We will generally advise you to continue psychotropic medication (medicine that affects your mental state) such as antidepressants, antipsychotics and mood stabilisers if the benefits and indications are clear. Once you are in the treatment parts of the service (particularly the medium and high intensity programmes, the therapeutic communities) we will look with you at which are continuing to be useful; many people reduce or stop their medication during treatment but by no means all. Tranquillisers, such as Valium (diazepam) would need to be stopped while you are in the Emotional Skills Group, as they interfere with emotional learning; we can help you with this. See our leaflet titled ‘Medication and Drug & Alcohol Policy’ for more detail. Would I have to attend every day? What about people who work or those who have childcare responsibilities? The high intensity service in Oxford meets on Monday from 9.15am to 1.00pm, Tuesday from 9.15 to 4.30pm and Wednesday from 9.15am to 12.30pm, which generally leaves enough time to drop off and pick up school age children and the Aylesbury service meets on Monday and Friday all day. The medium intensity services in Adderbury (near Banbury), High Wycombe and Witney are part time and many people attending will be working part time or have young children. Does all treatment involve group work? If our service is appropriate, a service user will be offered an Individual Assessment before joining a group. All treatment occurs in groups and group work can enable people to work on and shift more difficult issues that have often remained problematic after individual therapy; indications from research are that interventions for personality disorder that do not involve groups are less effective. We have all spent substantial parts of our lives in groups – in families, at school, with friends, or at work. If you are nervous of groups there are various ways we can help. Some of the groups are very structured (following pre-set agendas with clear expectations), which might be less stressful; staff can meet with you individually as you are getting used to being in a group; and you can also request to meet with someone who has previously been a member of one of the groups for their perspective. Will attending the complex needs service put my benefits at risk? For most people the answer is no. There are service users with Complex Needs Service on all types of benefits. If there is an issue with benefits, staff and members of the programme you are attending will assist you in resolving any problems that arise and the member of staff you meet when you first come can also put you in contact with someone who will be able to help. Would I have to talk about past abuse if I came to the service? For some people this is important, for others less so. If you feel you have dealt with past abuse you may be able to make progress without dealing with it further. Some of the low intensity services in particular target symptoms without looking to investigate very early causes. The important thing is to be willing to think about where your remaining difficulties may be coming from and to engage in therapy. Would I have to give up all my destructive behaviours? Self harm, excessive drinking, drugs and so on. If you are doing things that put you at risk or make you feel bad about yourself, we will help you think about these and their effect on you, as well as why you might be tempted to do them. This is an area to work on if you join one of the treatment programmes. We would help you work towards changing them, rather than demand you stop them. Is there any support after the 18 months in therapy? There is an active ‘Moving On’ programme for those who have completed therapy and former members also get involved in training professionals and sometimes in clinical work. More information about this is available in the following leaflets ‘Tier 4: the moving on group’ and ‘STARS’. Would I have to stop seeing my Community Mental Health Team/CPN/Social worker if I joined one of the treatment programmes? Care transfers from an Adult Mental Health Team (if you have one) three months after you join one of the medium or high intensity parts of the service (Therapeutic Communities). While you are deciding if this is the right option for you, care should continue as normal. I am addicted to alcohol or street drugs, could I still come? A referral can be made to our service for a service user ready to tackle these kinds of problem and we will also provide details of organisations able to help. You will not be able to attend while under the influence, or bring alcohol or drugs onto the premises. As you work with us we will continue to help you to get your use of alcohol under control and/or stop drug use in order to join our therapy programme. Can I have psychotherapy or psychological treatment elsewhere at the same time as attending the Complex Needs Service? You can be a member of an Emotional Skills Group while you are having therapy elsewhere, and attend our low intensity groups, but before you join the medium and high intensity parts of the service (the Therapeutic Communities) other therapy will need to come to an end. Do I need my GP or psychiatrist to refer me? You can refer yourself by calling, writing or emailing to obtain a self-referral form; please see the Referrals section on this website. We recommend that you discuss your thoughts about referring with your GP or any professionals currently involved in your care. Is the Complex Needs service only for people with personality disorder? Most of the people we work with suffer from personality disorder but you do not have to suffer from personality disorder to access our service. Personality Disorder diagnosis is a controversial area. For more information do look at the Personality Disorder section of this website and our leaflet ‘What is a Personality Disorder’. The Oxford Health Complex Needs Service based in Oxford and Aylesbury runs treatment services in Aylesbury, Oxford, Witney, High Wycombe and Banbury/Adderbury. Opening hours are 9 am to 5 pm, Monday to Friday. 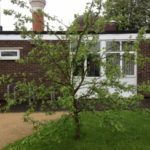 Oxfordshire – Complex Needs Service, Manzil Way, Oxford OX4 1XE. Directions.